7:07 | He had survived a fighter attack, a bail out landing without help from his parachute, a prison camp and a forced march, so there was no way Don Ogden was gong to take a chance sleeping below deck on the liberty ship back to the States. Once home and no longer struggling against Nazis, he began a decades long struggle against the VA and against his own demons. He'd passed the flying exam but Don Ogden was so tired that he began stammering and he was rejected. Determined to fly in combat, he became a gunner and in a strange turn of events, his tendency towards air sickness would actually save his life. The requirement was fifty missions to go home. Nose turret gunner Don Ogden describes several of his missions that were memorable, including the time he watched a parachuting man bring down another bomber and the time he nearly fell out of the turret. Then there was the mystery of small explosions heard around the air base. He was flying his 22nd mission in the nose turret but Don Ogden had only engaged enemy fighters once. He never saw the two that brought down his B-24 and wounded him with shell fragments. He tells the story of his exciting escape from the plane, the fall from high altitude, and his miraculous landing. 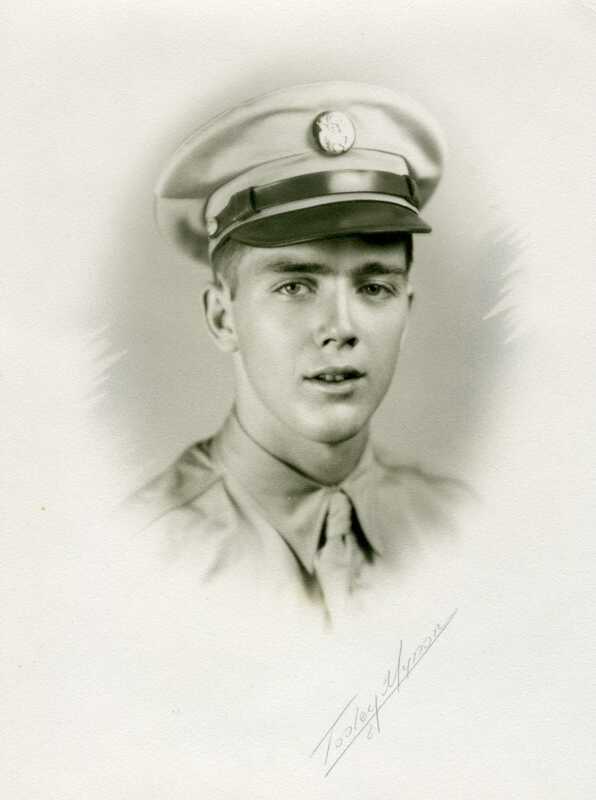 After surviving the crash of his B-24 and seeing the burned bodies of his crew, Don Ogden was imprisoned in Hungary where he suffered abuse from civilians and was nearly killed in an American bombing raid. Once again he was saved by being where he was. This time it was the basement. After months of indifferent medical care and abuse at the hands of his Hungarian captors, which included being sentenced to death in a court where no one spoke English, Don Ogden finally met a German. After a week in solitary, the officer interrogated him without success. Don Ogden describes the food, what there was of it, in the prison camp and laughs at the memory of the German commandant who kept them busy making an ice rink. And then there was the guard nicknamed Big Stoop, who got mad at them one day and charged at them, firing his Luger. Near the end of the war, the POW's were forced from their camp and put on a forced march to nowhere. They walked 800 miles in 3 months, says Don Ogden. He suffered from the food deprivation and unsanitary conditions, but he also met a new friend, Harold Thompson. Passing through a small town, he witnessed an unbelievable act of cruelty at the hand of a young SS trainee. It was a forced march and the POW's were quartered in a barn listening to frightful artillery, when a British soldier opened the door and said, "Cheerio, chaps!" They were free, but the British did them no favor by feeding them all they wanted. Don Ogden had survived it all but suffered one more indignity, this time at the hands of his own government. He couldn't go home, because he looked too bad.